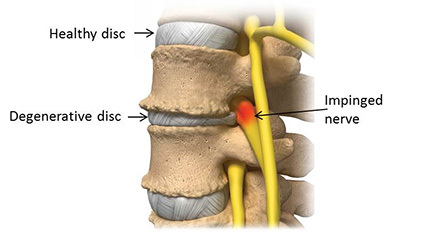 In its most basic form, degenerative disc disease (also known as DDD) is the pain, weakness or potential numbness that stems from a degenerated disc in the spine. A diagnosis of degenerative disc disease may be alarming at first as it sounds like a progressive, degenerative disease. However, this isn’t necessarily the case because degenerative disc disease is, in fact, not really a disease, nor is it strictly degenerative because degenerative changes in the spine are natural and common to the general population. In fact, it actually describes normal changes in the spinal discs. Every person undergoes disc degeneration as they age. A healthy disc will contain lots of water in its center, medically known as the nucleus pulposus, which separate interlocking bones and provide cushioning, shock absorption and mobility to the spine. However, as your spine is strained over time, the discs will begin to lose water as the annulus, or the rigid outer shell of a disc, weakens. This makes the discs less flexible and results in the gradual collapse of the disc and the narrowing of the gap in the spinal column. As the space between the vertebrae gets smaller, extra pressure can be placed on the rigid discs causing tiny cracks or tears to appear on the annulus. If severe enough, the pressure on the disc can force the jellylike fluid within the disc out through the tears, causing a herniated disc. 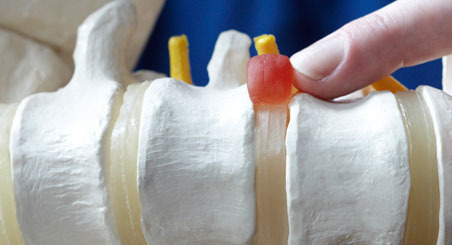 As the two vertebrae above and below the affected disc begin to collapse upon each other, the facet joints at the back of the spine are forced to shift which can affect their function. Additionally, as the space between vertebrae becomes smaller and smaller, the body reacts by creating bone spurs in order to stop excess motion. This can cause pain and affect nerve function if the bone spurs start to grow into the spinal canal and put pressure on the spinal cord and surrounding nerve roots. Some patients have more advanced degeneration at an earlier age due to genetics but degeneration is mainly due to the wear and tear from our chosen activities. What is interesting is that the degree of degeneration does not correlate well with the degree of pain that patients experience. Some people may experience no pain, while others, with the exact same amount of damage, may be completely incapacitated. It all depends on the location of the affected disc and how much pressure is being put on the spinal column and surrounding nerve roots. That said, degenerative discs are one of the most common causes of lower back pain. When patients do become symptomatic from degenerative disc disease, pain in the neck or back is the dominant symptom. Arm or leg symptoms usually do not occur unless there is an associated area of nerve impingement at the level of the degenerated disc. As mentioned above, degeneration is mainly due to the natural wear and tear from our chosen activities. However, some patients can experience advanced degeneration at an earlier age due to genetic factors or trauma, like car accidents. Diagnosis of degenerative disc disease will usually consist of an analysis of a patient's individual medical history, a physical exam designed to reveal muscle weakness, tenderness or poor range of motion, and an MRI scan to confirm the diagnosis and rule out other causes. 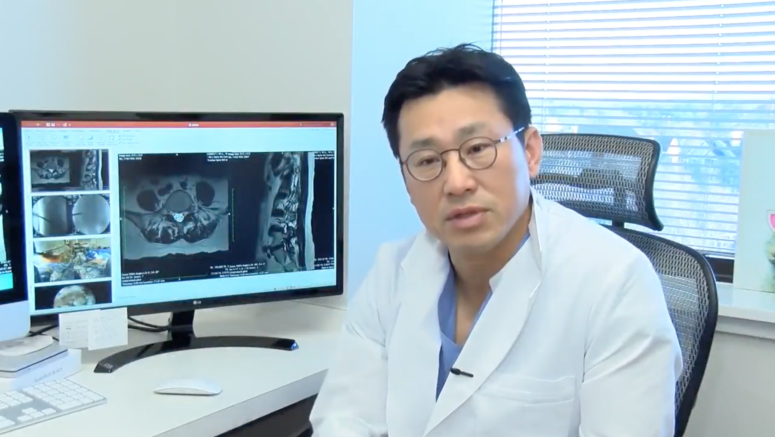 Most often, degenerative disc disease can be treated through non-surgical methods. One of the easiest ways to relieve pain is to put heat or ice on the affected area of the spine and use pain relievers like ibuprofen to reduce inflammation and pain. An epidemic of addiction to opioids swept the nation, claiming thousands of lives in the Commonwealth of Virginia in 2016. A local doctor is using a fairly new treatment to lower his patients risk of addiction. 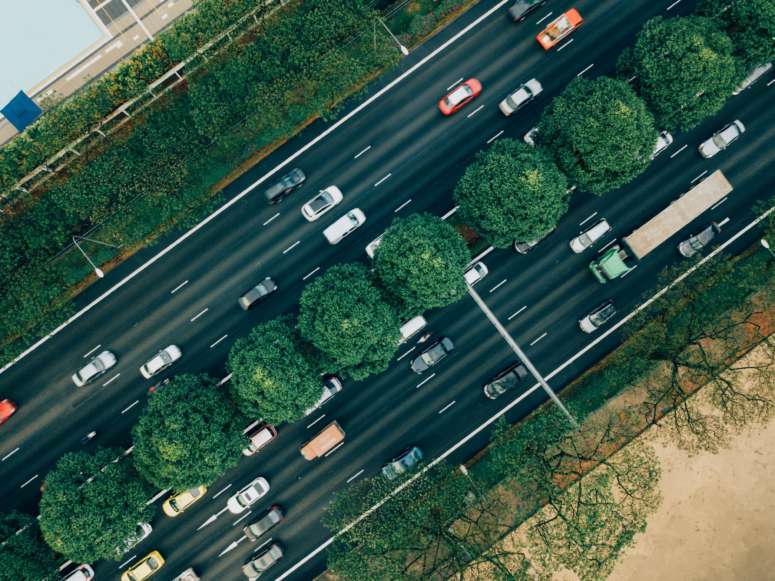 Every day in the United States more than 27,300 car accidents occur on the road, what happens when your neck starts hurting after one?